Two of the main requirements for kindergarten are that the children can recognize both letters and numbers. Many parents aid their children in this process by introducing them to the alphabet at an early age. 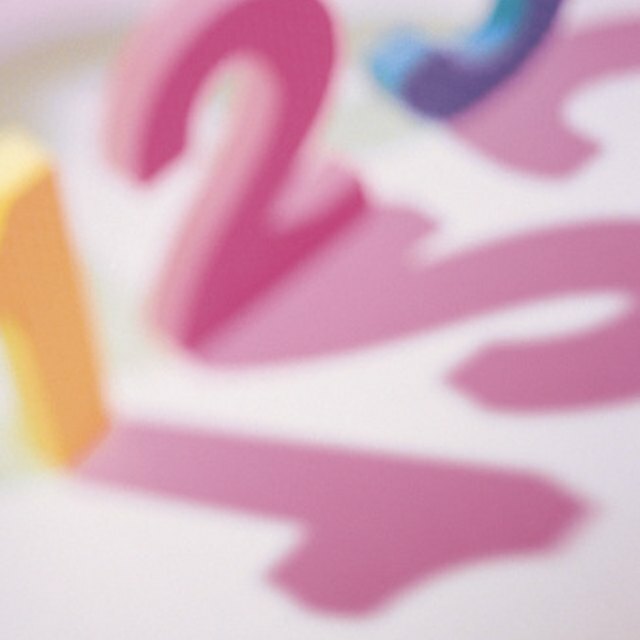 Numbers education, however, is often reduced to simple counting, which does nothing to help the child recognize the numbers or understand the concept. There are many common problems in number recognition for young children. Thankfully, there are also numerous ways to overcome these obstacles. One of the most common number recognition problems is the confusion between the numbers six and nine, especially when the nine is drawn like an upside down six instead of as a ball with a straight line behind it. When children see six and nine, they find it difficult to grasp the fact that six has the ball on the bottom while nine has the ball on the top. Some students are still struggling with top and bottom, so it is only logical that they would have trouble distinguishing between these two numbers. Some students also get the numbers two and five mixed up. Just like the numbers six and nine, the numbers two and five seem to be the same number, only one of them is flipped upside down. Two has a curved top with a straight bottom while five has a straight top with a curved bottom. This is understandably confusing to young children. A few students will struggle to tell the difference between a one and a seven if the one is written with the slanted cap and not as a single straight line. Often a one written in that style will also have a line across the bottom of it, and this can be used to help the child distinguish between the two numbers. As strange as it may seem, many students find it difficult to differentiate the number 12 from the number 20. It may be because they are both two-digit numbers containing a two, or it could be because of the “tw” sound at the beginning of each of their names. For whatever reason, this is a genuine struggle for some children and will need to be handled with perseverance and patience. Most kindergarten classes require that their students be able to count to 100 and recognize numbers through 20. When they reach the teens, some students find it difficult to remember which digit comes first. If they don't master this when the teens are first introduced, it can lead to major problems of constantly flipping numbers around. For example, 21 becomes 12, 31 becomes 13 and 32 becomes 23. It is imperative when introducing the teens that you stress that the "one" always comes in the front in the teen family. When a teacher shows a student a flashcard with a number on it, the student should be able to recognize the number and tell the teacher what it is. Some students recognize the number by its placement but can't remember the name immediately. Instead, they look at the number and count up to that number. At that point, they give the name of the number. This is not an acceptable practice for a kindergartner and should not be allowed because it hinders the student from truly understanding the concept and recognition of the number. Many children struggle with number recognition because they don't truly understand the concept. The number is seven. So what? What does that mean to them? To aid your students in this area, teach number recognition and the concept at the same time. Use flashcards that show both the number and that many objects. Play games in which you hold up a number flashcard (number side only), and have the students hold up that many objects (for example, pencils, crayons or fingers). Use every method you can think of to help students understand the relationship between the number they see and the number of objects portrayed. Though there are a number of problems associated with number recognition, they can all be solved with the same solution: repetition. Your students need to see, hear and deal with numbers many times each day. Don't rely solely on flashcards and worksheets. Instead, allow them to do some hands-on activities. Sculpt numbers out of play dough, or even better, out of cookie dough that you can bake so they can eat their numbers. Encourage your students to form numbers out of a piece of yarn or cooked spaghetti. Trace a number on a student's back, and have him attempt to tell you which number you traced. Then allow him to do the same to you. There is a multitude of hands-on activities you can do with your class to help them with number recognition. After all, the more senses you can include, the higher the chance your students will learn and remember. Rongione, Dana. "Problems With Number Recognition in Kindergarten." Sciencing, https://sciencing.com/problems-number-recognition-kindergarten-8340197.html. 25 April 2017.